I’ll admit that we’re incredibly late getting this review posted, but it’s one that I’ve wanted to ensure saw the light of day for quite a while, especially after seeing the respectable numbers that could be had with cooling duties handled by an air cooler. Liquid cooling users should be over the moon because we can just imagine the numbers that the chassis will turn in considering the Manta was designed to handle 280mm radiators on the front and top panels. From a design standpoint, there’s not much that can be found to gripe about. 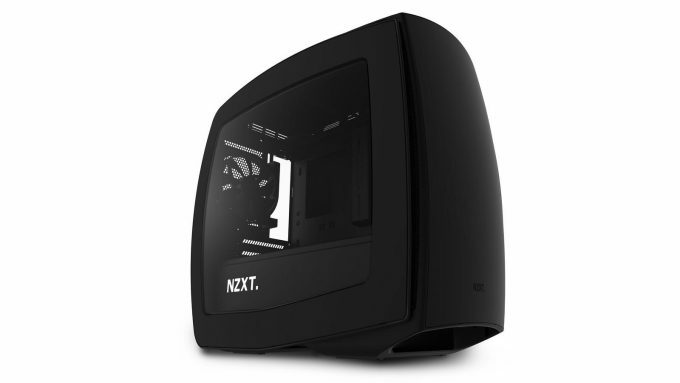 The frame is rigid, as are the side panels, the included fans are powerful and remain quiet when run at full speed, the removal of the 5.25″ drive cage means unobstructed airflow from the front fans, and the included fan controller negates a huge catch-22 of using a mITX motherboard, which is the lack of fan headers. Due to the excellent design, build quality, thermal performance, and quietness of the NZXT Manta, we’re happy to slap an Editor’s Choice award on it and call it a day. Now, it seems like ages since I’ve dated a super model. Darn. Still not working.